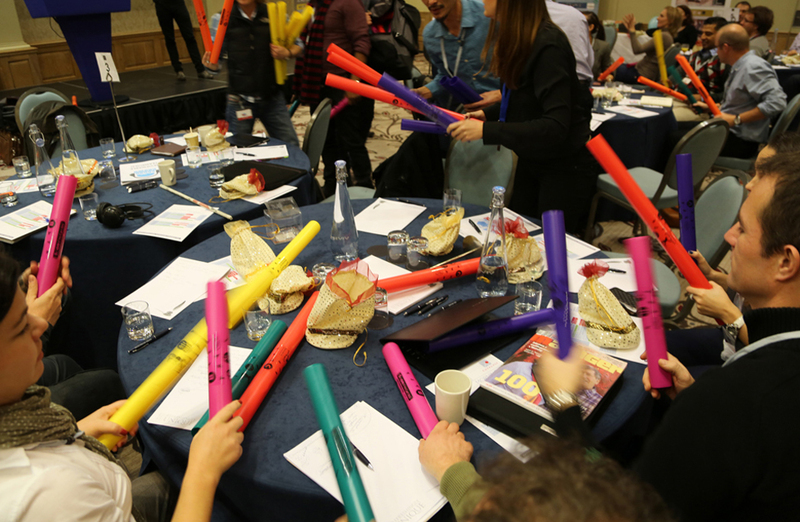 A fast, fun and inclusive musical activity to energise and unify your team.. 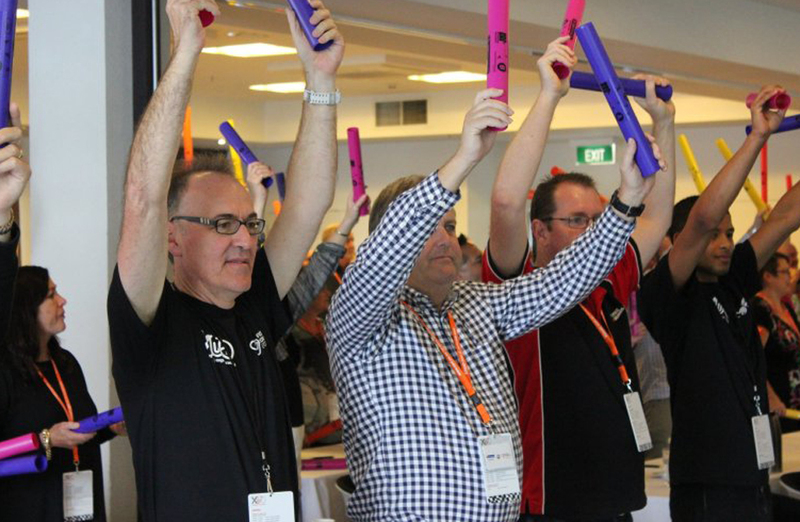 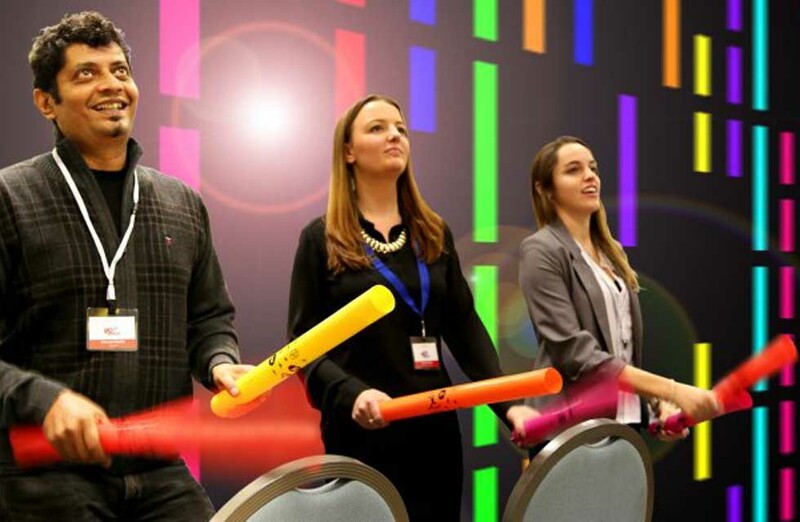 Participants create unified music with a lightweight, colour-coded plastic tube called a Boomwhacker which are tuned to musical pitches by length. 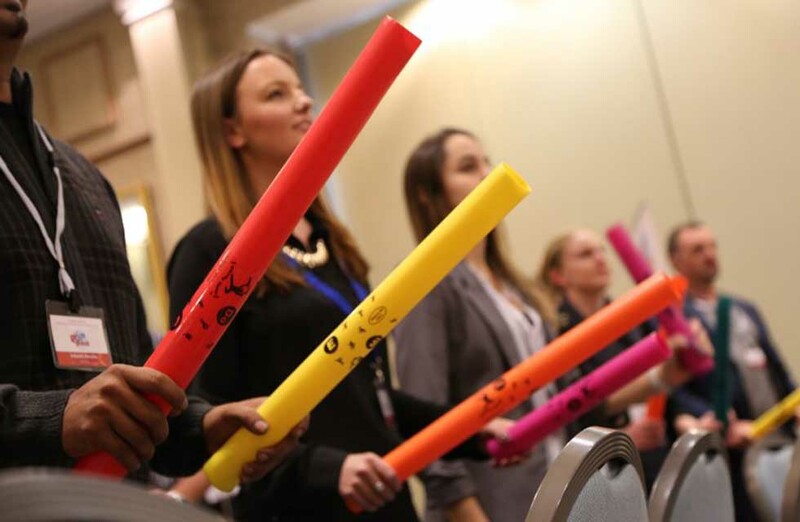 Participants follow a high-tech visual interface which guides them in collaborating to create a symphony of music. 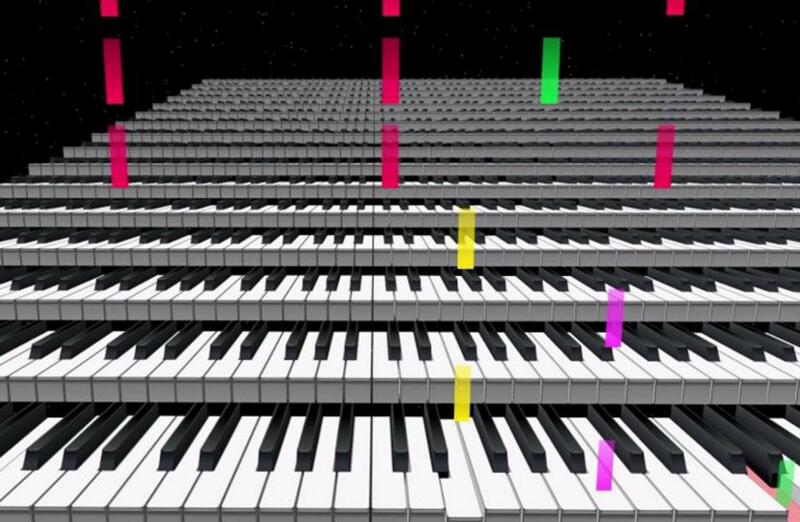 Participants strike their tubes creating musical notes as a coloured block hits a key in the visual interface. 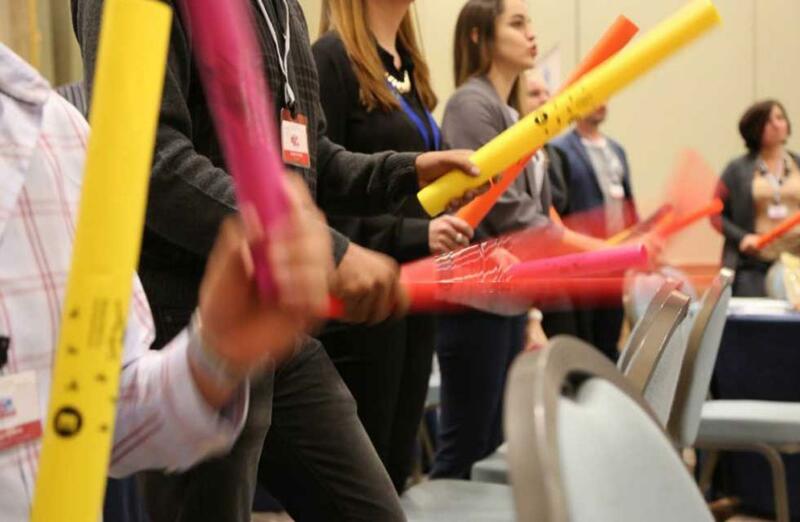 As the event progresses, the pace and complexity grow; blocks move faster and teams respond more vigorously to keep the rhythm building to an uplifting crescendo! 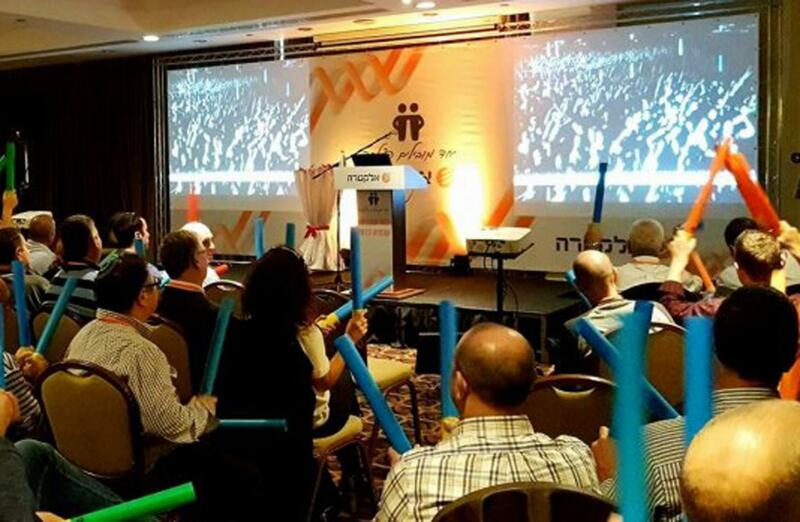 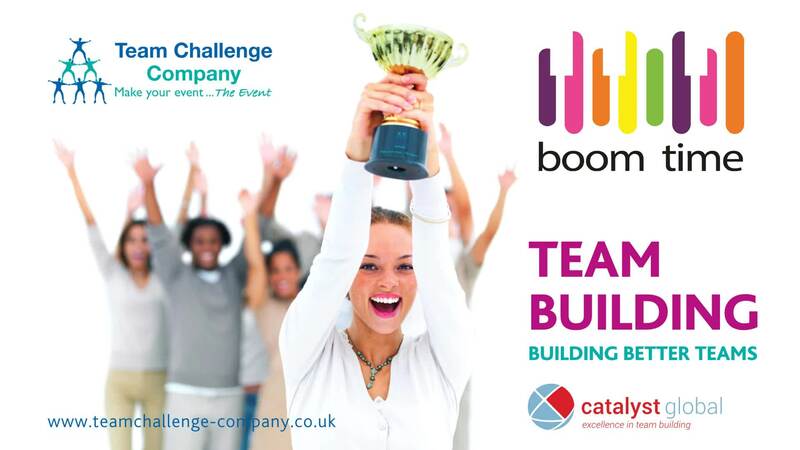 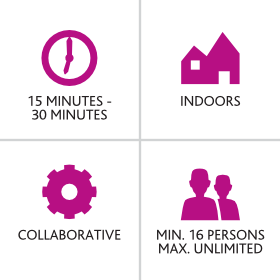 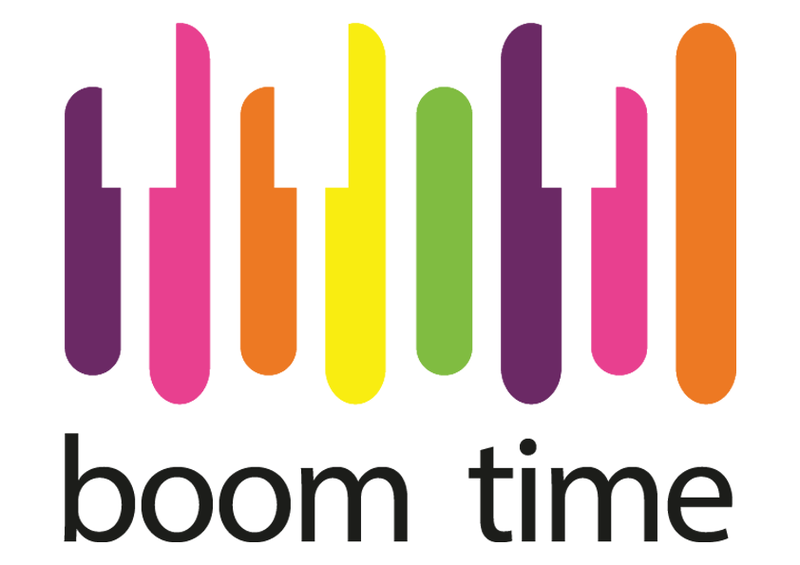 Boom Time has proven success worldwide in igniting conferences and generating excitement and unity in a team. 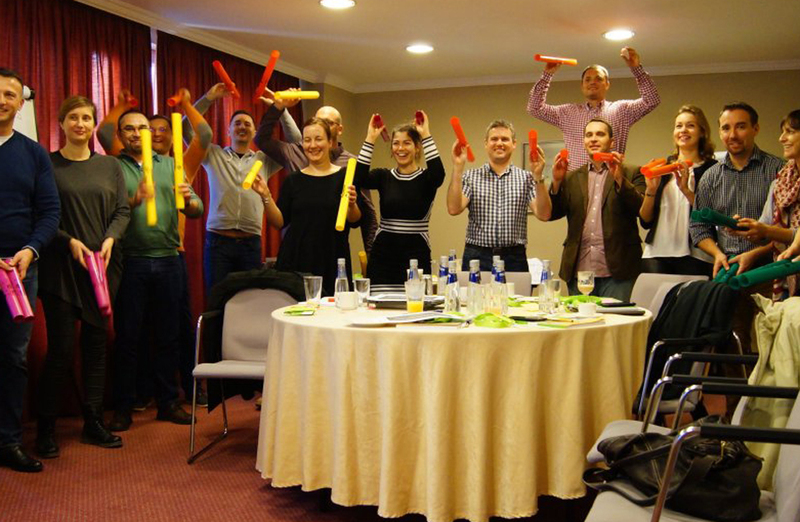 Requiring involvement from all individuals and team work as one group, this team building activity promotes openness and teamwork. It's simply a great way for people to de-stress and have fun with their colleagues. 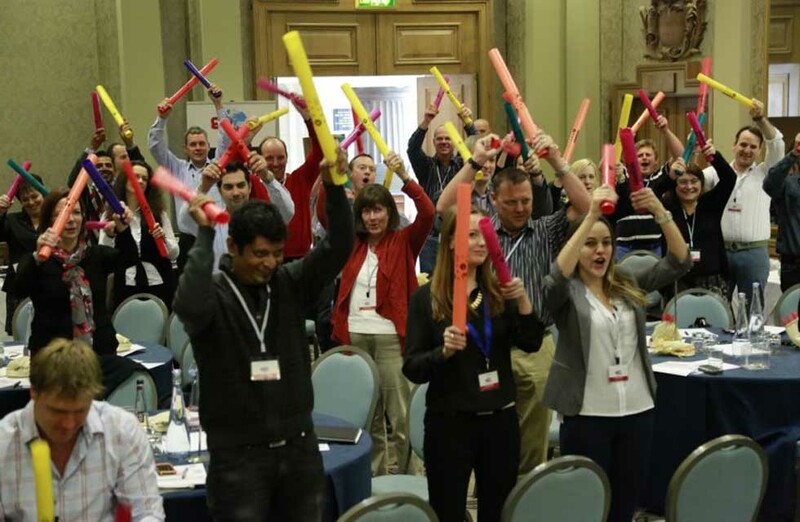 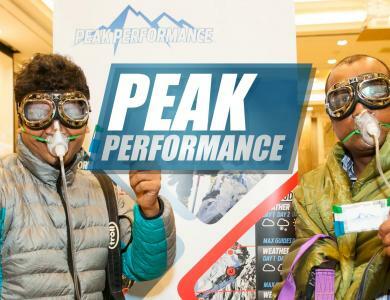 When integrated with a conference, after being the stars of the show participants will be energised and ready for the ensuing conference ahead.